St. Peter’s has a long history of vicars learning about the ministry during their internship year. 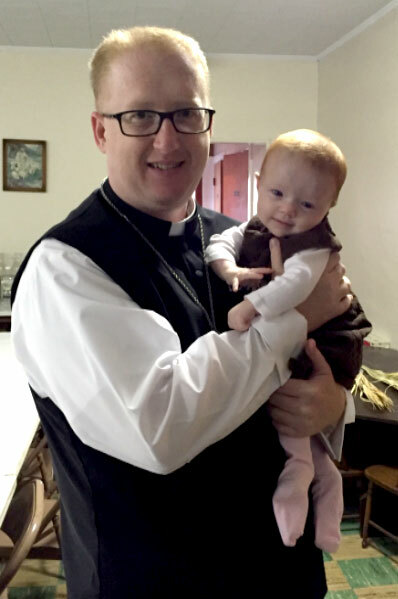 Our new Vicar, Avery Carr, will start his year of service at St. Peter’s on Sunday, July 3. We’ll have several months to learn about his joys, passion and call to the ministry, but we thought perhaps we could have a foretaste of the things to come. We got in touch with him to ask a few questions so we can all get to know him and his family a little better! St. Peter’s: Where did you grow up and what is a favorite memory that took place there? STP: What are some words you would use to describe your family? VA: Goof-balls… AKA, completely off our rockers but in a fun way. Close-knit, or in Three Musketeers’ language, “All-for-one and One-for-all.” Laid back. STP: What is your religious background, and how did you get to Lutheranism? VA: I actually grew up in a Southern Baptist Church; however, my grandparents were Southern Church of Christ and I often went to church with them. When I was a teenager I began to disagree with the message that I was hearing proclaimed. So I left the Baptist Church and started going from denomination to denomination looking for a message that was more in line with how I believed God to be and worked in the world. When I met my wife, she was Catholic. I had never attended a Catholic mass and when I went with her I found a liturgical service to be very comforting. I started to convert to Catholicism but it just never felt quite right. Her father was Lutheran, so one Sunday we decided to try a Lutheran Church. We went for Sunday School that morning, stayed for worship, and spoke with the pastor afterwards. We never left. We felt like we were home and have been Lutheran ever since. STP: Could you briefly tell us how you came to be a seminary student preparing to become a pastor? VA: I don’t know that it is possible to tell this tale briefly, but here goes the super abridged version. It started with me leaving the Baptist Church over theological differences of opinion even as a teenager. Some friends of mine had made the comment that I should consider becoming a pastor but I just blew them off. Later when we joined the Lutheran Church there was a Rabbi who came to the church on Tuesday nights and taught a Torah class (Genesis – Deuteronomy). I started learning some Hebrew and was completely fascinated with the Old Testament. One Sunday the Pastor came back from Synod Assembly and was speaking with the Men’s Group about the need for pastors and one thing led to another very rapidly and the next thing I knew I was on my way to Gettysburg. That is the super short version, but I have to add… God definitely has a sense of humor. STP: What’s the hardest class you’ve taken at seminary? STP: This last question is the big, serious question. Which do you prefer, chocolate or vanilla? Thanks to Vicar Avery for speaking with us! 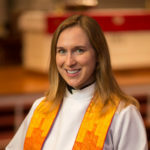 Be sure to introduce yourself when Vicar Avery starts this Sunday! Thanks for this “ice breaker”. “Ice breakers” are a good thing, and we’re really excited for the Vicar to be with us this year. Be sure to say hello when you see him!